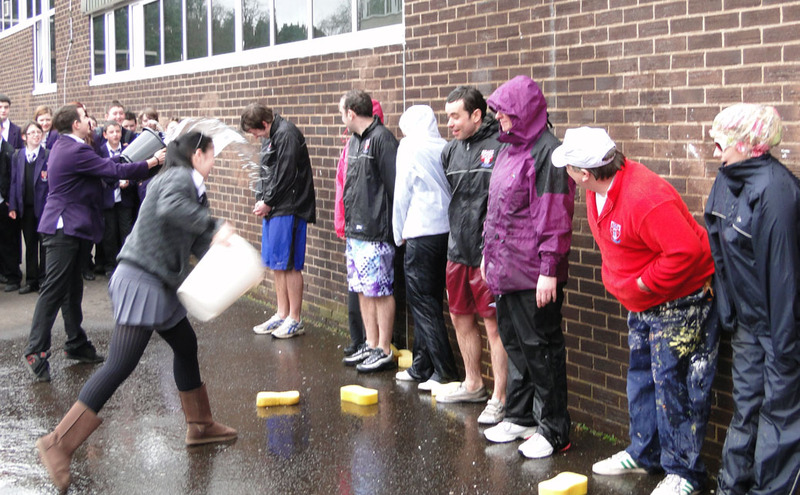 Class 4A organised a ‘Soak the Teacher’event to raise funds for Lenten Charities. 50p was just too good an opportunity for some pupils who spent all their pocket money and ended up borrowing more! Thanks to the staff who included Mrs Anderson, Miss Kane, Father Frank King, Mr Brogan, Mr MacMaster, Ms Campbell, Miss Miller and Mr Law. This entry was posted in Fundraising, Lenten Charities and tagged Fr Frank King, Miss Kane, Miss Miller, Mr Brogan, Mr Law, Mr Macmaster, Mrs Anderson, Ms Campbell, Soak the teacher by Jennifer Macfadyen. Bookmark the permalink.